County researched its regulations. Read more here. 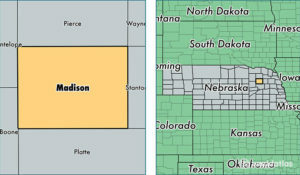 This entry was posted in Community-Scale Solar, Nebraska / Midwest News and tagged Heather McWhorter - planning and zoning administrator for Madison and Pierce counties, Madison County, Madison County Joint Planning Commission, NextEra, Pierce County, solar energy regulations, solar farms on February 8, 2019 by Helen Deffenbacher. 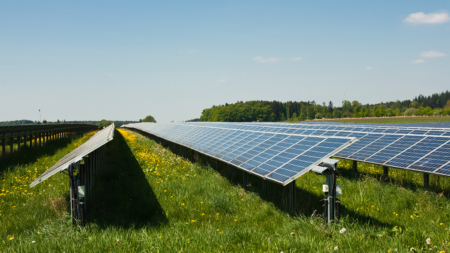 NextEra Energy Resources is seeking an interconnection agreement for a massive solar project in northeastern Nebraska that, if built, would be the largest in the Midwest and among the largest in the country. The 423 megawatt project is in the early stages of development and still hinges on how much it will cost to connect to the regional transmission grid. “We’re in a holding pattern until we get clarification from the Southwest Power Pool,” said Phil Clement, NextEra’s project director in Nebraska. 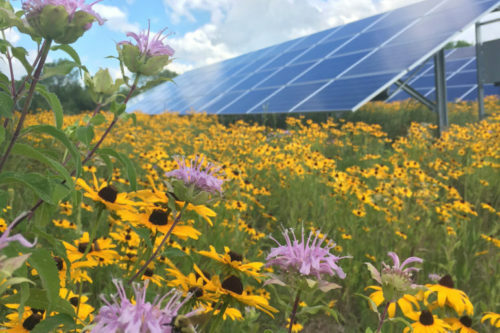 “We need to know if it’s viable.” Sean Gallagher, vice president for state affairs for the Solar Energy Industries Association, said the project could be a sign of things to come in the region, which is increasingly attractive for large solar projects. NextEra: solar and wind plus batteries will be “massively disruptive” to conventional generation, by Christian Roselund, PV Magazine. NextEra CEO Jim Robo’s exact math is that even after the federal tax credits expire, wind will be 2 – 2.5 cents per kilowatt-hour, large-scale solar will be 2.5 – 3 cents, and storage will add .5 – 1 cent. This would put these resources slightly below the current cost of natural gas-fired generation, without the uncertainty around fuel prices that is inherent to gas. 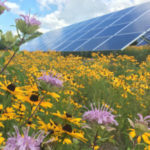 This entry was posted in Community-Scale Solar, Nebraska / Midwest News and tagged corporate renewable energy procurement, economic benefits of solar energy development for Nebraska communities, Madison County, Midwest Energy News, NextEra Energy Resources, Norfolk Daily News, NPPD, OPPD, Pierce County, PV Magazine, solar energy development in Nebraska, Solar Energy Industries Association, Southwest Power Pool, tax revenues, The City of Norfolk on January 30, 2019 by Helen Deffenbacher. OSCEOLA — Bluestem Energy Solutions has been granted final zoning approval to install a 2.5-megawatt wind turbine one mile southwest of Osceola. Bluestem officials plan for construction to begin in September. Polk County Rural Public Power District, with headquarters in nearby Stromsburg, will purchase 100 percent of the General Electric turbine’s output through a long-term power purchase agreement that includes a guaranteed price for the life of the contract. Boyd Jones Construction of Omaha is engineering, procurement, and construction contractor for the project. Read more here. 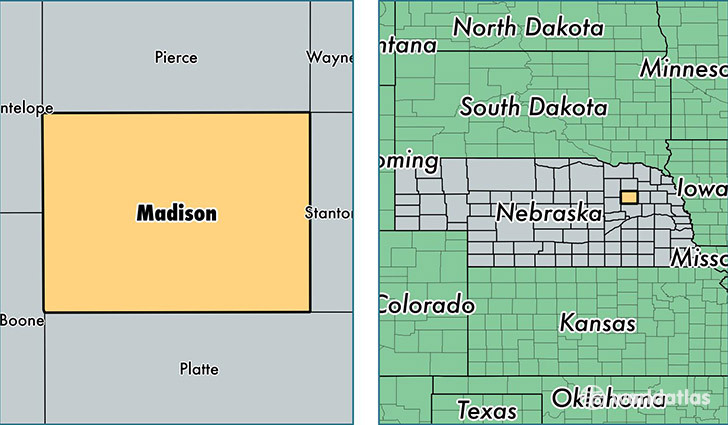 On Thursday evening, the Madison County Joint Planning Commission continued discussions on the regulations, with hopes of hosting a public hearing on them next month. If there are no major changes based on the input from the hearing, the regulations could be forwarded to the board of commissioners for consideration in October. This entry was posted in Nebraska / Midwest News and tagged Boyd Jones Construction of Omaha, Grand Island Independent, Madison County, Norfolk Daily News, Omaha-based Bluestem Energy Solutions, Osceola, wind energy development in Nebraska, wind energy regulations on August 19, 2018 by Helen Deffenbacher. Lincoln Electric System to study EV charging habits, by Peter Maloney, American Public Power Association Blog. Nebraska public power utility Lincoln Electric System has begun a campaign to recruit electric vehicle drivers in a study that the utility plans to use to better understand the impact electric vehicle charging will have on its system’s demand. “The study is going to be able to help us ascertain when and where and for how long drivers are charging their cars, as well as give us information about state of charge of the batteries and trip durations,” Marc Shkolnick, LES’ manager of energy services, said. This entry was posted in Nebraska / Midwest News and tagged Center for Rural Affairs, LED streetlight program - OPPD, Lincoln Electric System (LES), Madison County, Norfolk Daily News, NPPD EV Charging Station Incentive Pilot Program, OPPD EV Rebate Pilot Program, wind energy and property values, Wind Energy Ordinances on August 16, 2018 by Helen Deffenbacher.